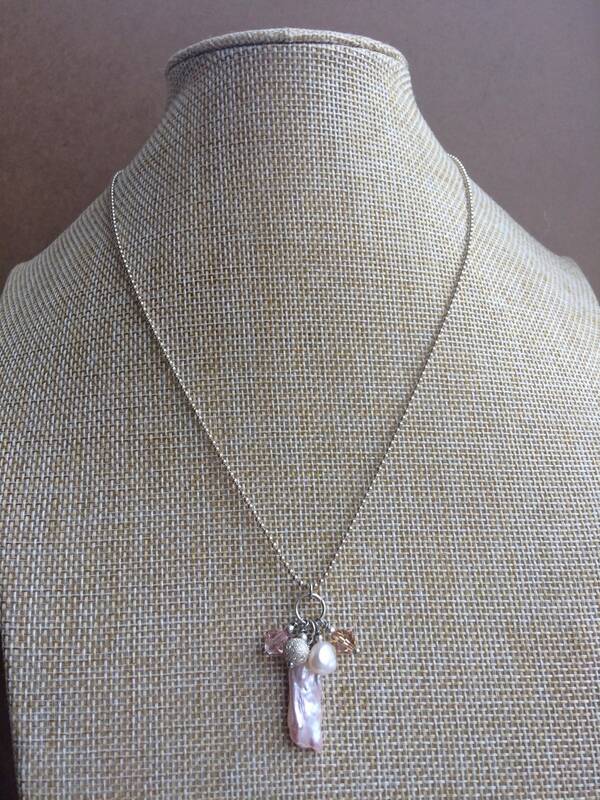 A matching set of freshwater pearl sterling silver handmade jewellery. 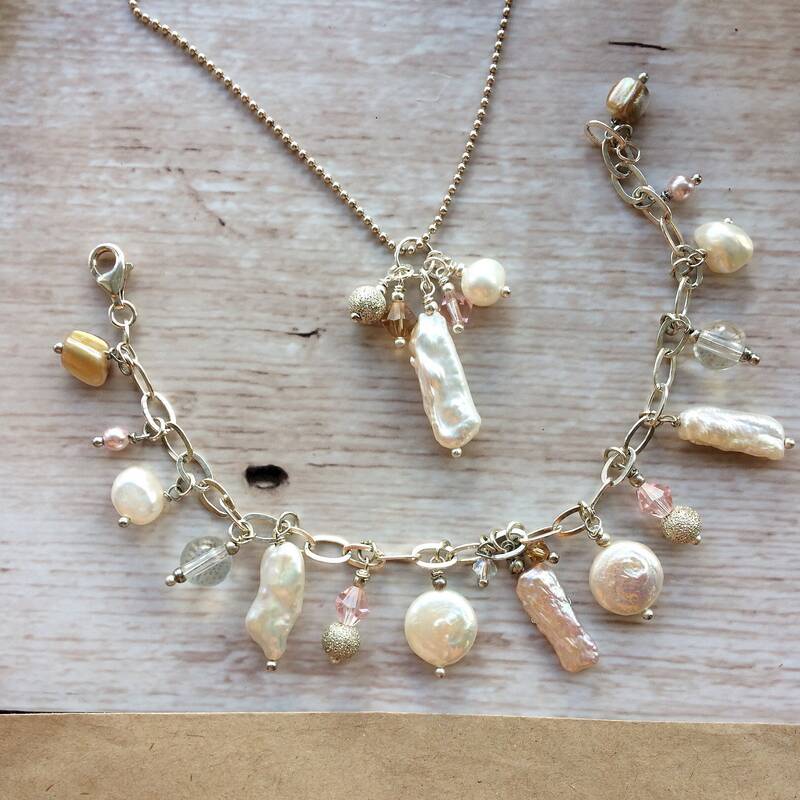 This comprises a necklace, charm bracelet and drop earrings. 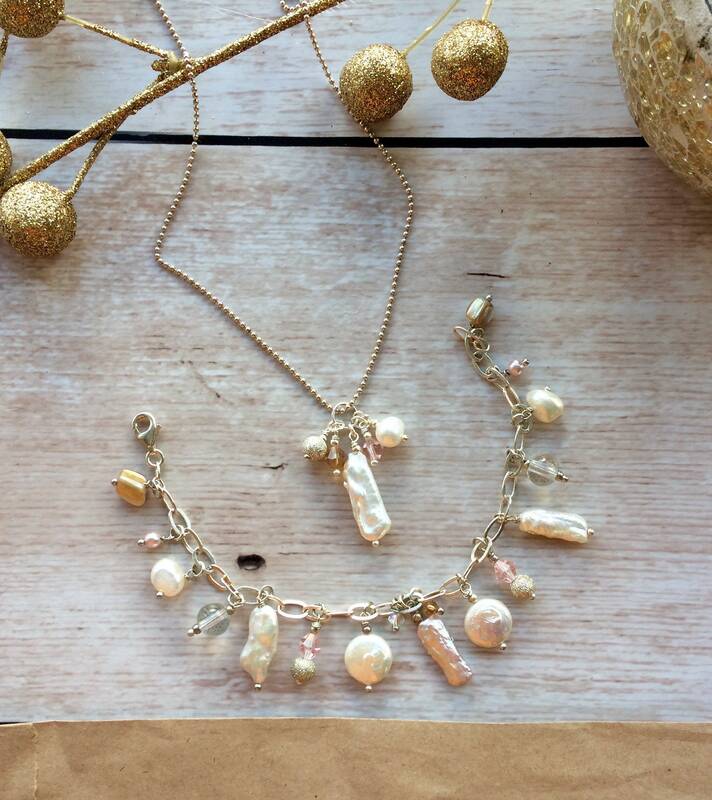 This set is made with top quality materials: A grade pearls and sterling silver bracelet chain, ear wires and necklace chain. 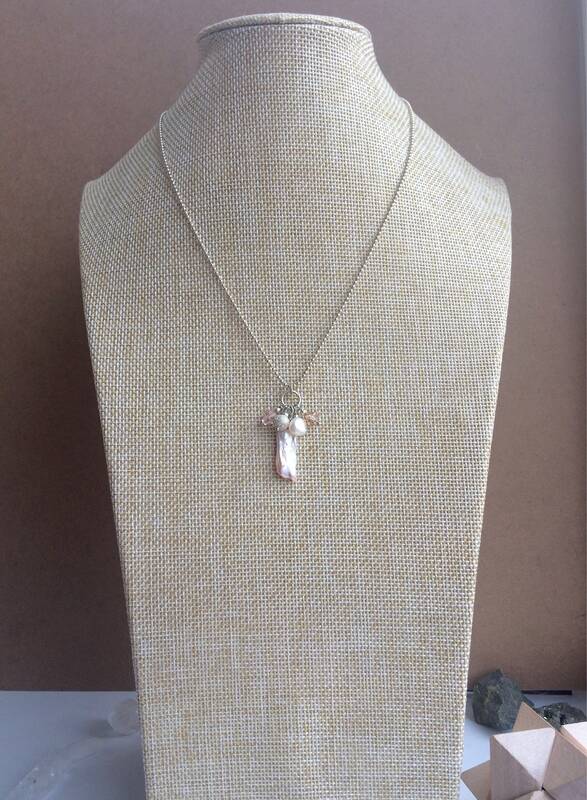 Features a biwa freshwater branch pearl in a iridescent pink and cream lustre (2cm), Swarovski crystal bicone beads (6mm), Freshwater pearl bead (7mm) and a silver plated sparkle bead (6mm). 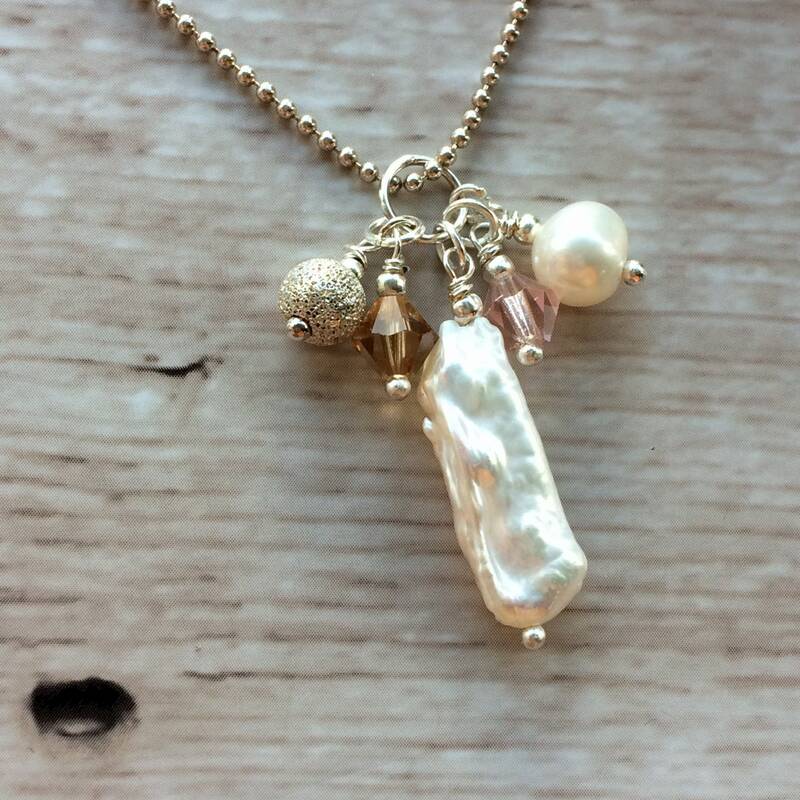 This combination cluster pendant measures approximately 1.3cm wide by 3.5cm drop. The chain is a 17" (44cm) sterling silver ball chain. A charm bracelet style on sterling silver cable chain. The chain has links 7mm wide and a total bracelet length of 7.5"/19.5cm including lobster clasp. The charms are affixed on silver plated headpins and affixed with sterling silver jump rings. 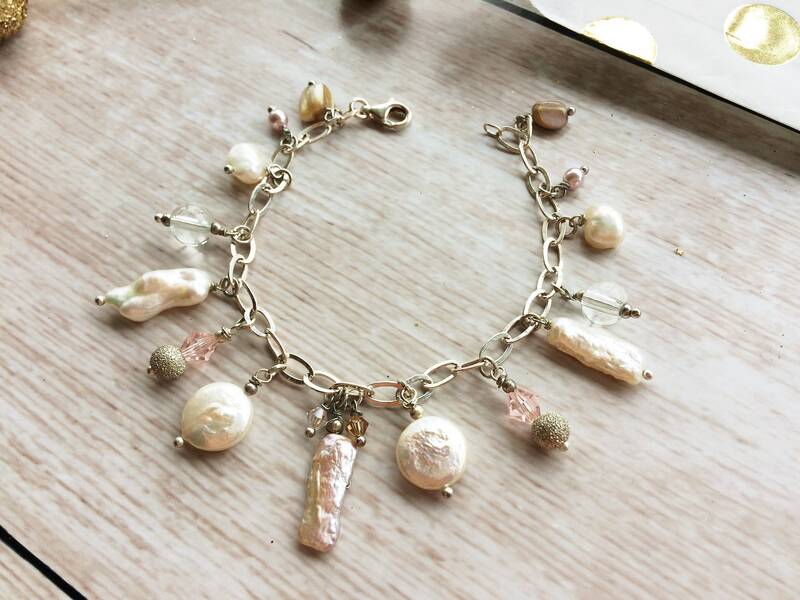 They include the sparkle beads as above, Swarovski crystal bicone beads (6 and 4mm), mother of pearl nugget beads (approx 7mm), crystal quartz beads (8mm), freshwater branch pearls (2cm long) and more coin pearls. 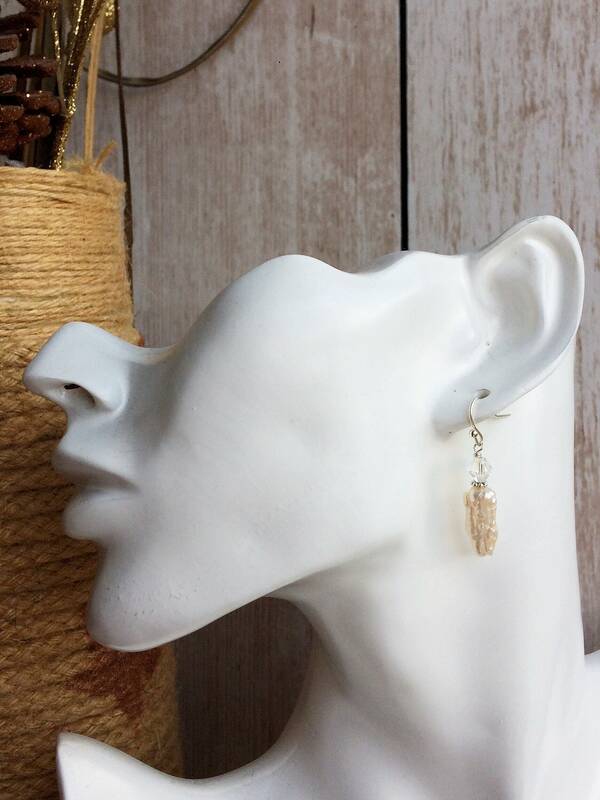 Affixed to silver plated ear wires with a 6mm Swarovski bicone and biwa branch pearl. 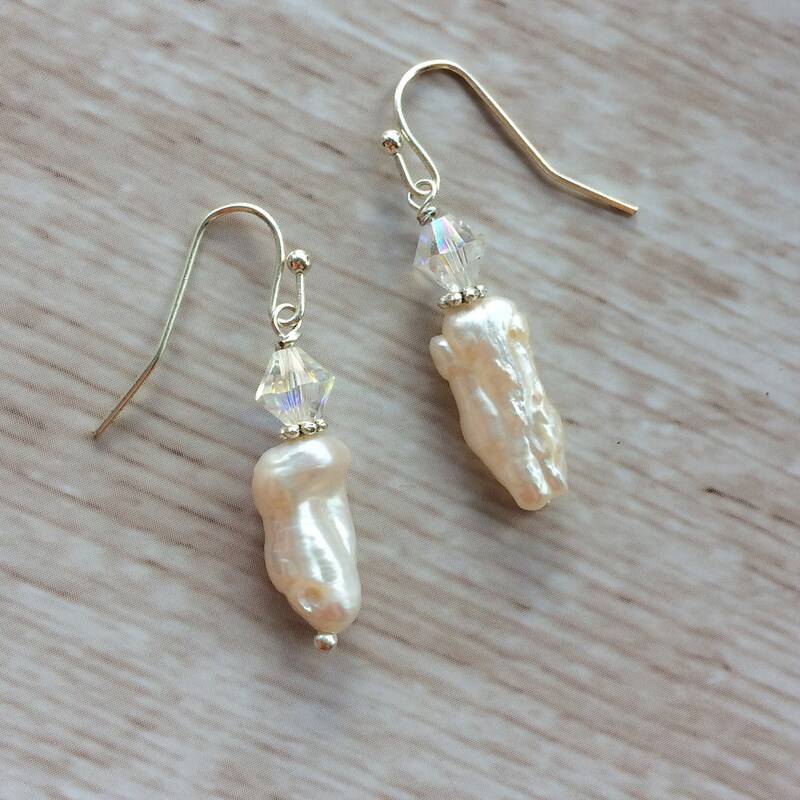 The total drop length of the earrings is 2.5cm. It was a real treat for me to make this set. 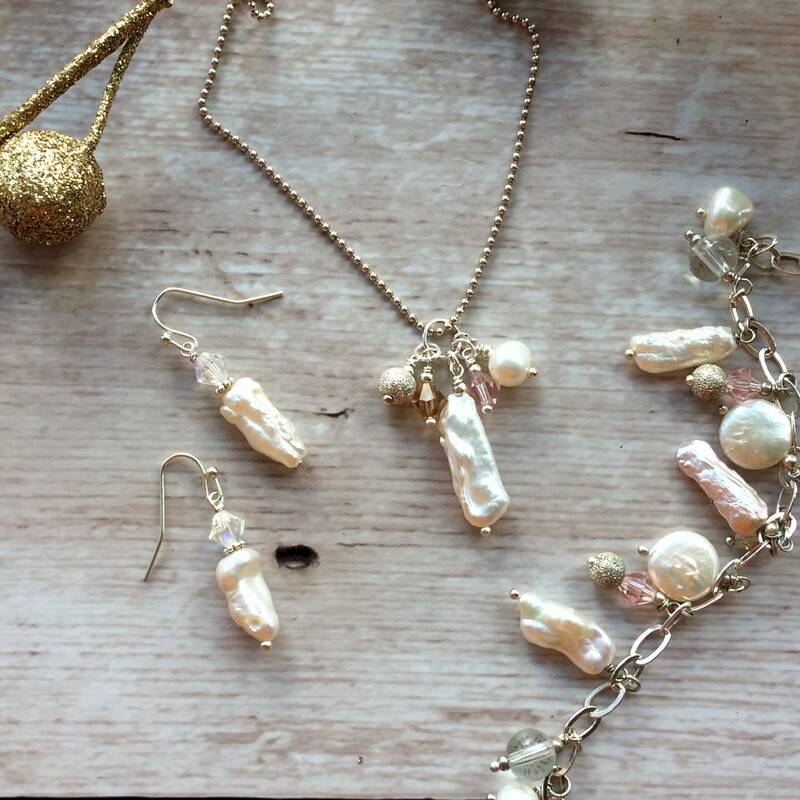 I love working with both freshwater pearls and Swarovski crystals for the same reason, their mesmerising iridescent colour spectrum. This is subtle and mysterious, only appearing in certain lights, but particularly when complimented with high quality silver, dazzlingly sparkling and glamorous.